In the modern fishing world, jigging is considered to be one of the most popular ways of catching fish. On the surface, it seems like a pretty difficult method of fishing, but it is quite simple and efficient once you learn the technique and master it. What is jigging in the fishing world? When you’re jigging, you need to pop the tip of the rod up quickly, this will help to move the bait vertically and your catch will quickly follow. During jigging you’re basically creating an illusion of an injured bait fish and the other fish will want to take a bite. Most people love jigging because of the excitement and satisfaction that comes with it. Catching a fish through jigging actually means you managed to trick a fish into taking bait that doesn’t taste, smell, look or feel like a fish. There are so many different styles of jigs varying in design, size, and shape. Most of them are attractive with beautiful designs and wonderful shades of color. This is done to ensure they are easily noticeable when under water. However, there are three major categories when it comes to jigs and they are; knife jigs, flutter or butterfly jigs, and slider jigs. All these designs mimic a different action when dropped and lifted underwater. The most common style when it comes to jigs is the knife jig. They are often used in jigging Salmon fish. They are designed to sink and get retrieved fast making them much more effective. When you want a little more finesse when jigging, then you should consider using either the slider or butterfly jigs. Butterfly jigs when descending into water, have a unique wobbly action, while the slider jig can zip or slide to one side. They are therefore considered to be more fun and they increase the excitement and thrill of the whole fishing experience. Jigs have different prices depending on various factors including size, design, and color. Some can be affordable while others are very expensive and you may need a small mortgage in order to afford them. You should also understand that the price generally increases as the weight of the jig increases. The expensive price is actually because of the development and research expenses incurred in the design and manufacture of the jig. The quality of the finish and the durability of the jig is also a big price determining factor. There is cheap knockoff available out there in the market, but they are normally not as effective and efficient as the original designs. If you are starting jigging, never go for the cheap knockoffs, because they will disappoint you and make jigging seem difficult. Before you even start jigging you need to understand how the jig works and the movement. To help with this, drop your jig in the water and pull it down and up several times. Observe in detail what happens when you drop it in the water and pull it up. Try different speeds and motions, try going slow, and then fast, try short movements then long movements for a while. Observe your jig and note how it behaves under the different motions. If you are distracted by the urge to start fishing right away, then you should try to use a pool to learn the different motions of the jig. You could use different ways to work your jig, the easiest being to drop it and recover it. However, when you use this method, do not wind when lifting, but instead crank the reel and then lower the rod bringing the jig just a few meters up. You can then slowly drop it back and begin the whole process again. You need to be patient while also needing to compose your mind and concentrate. 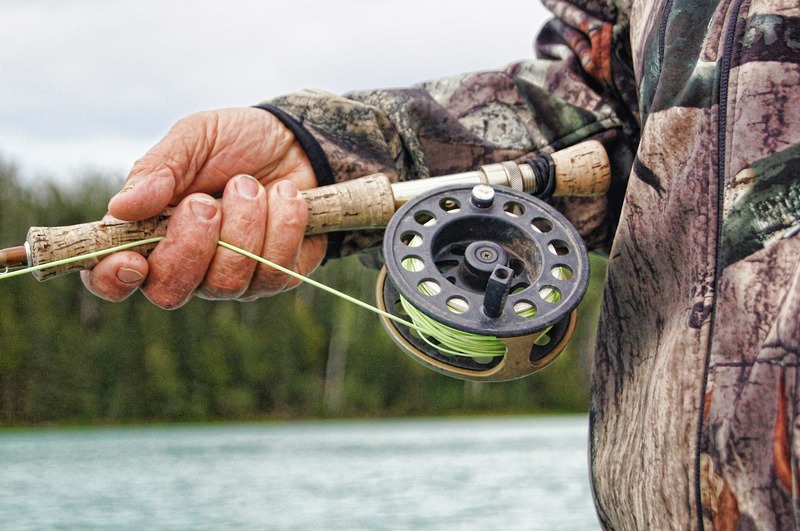 The other techniques include just dropping the jig and winding up a little bit every time, or just winding it back and dropping the lure not unwinding the reel. All of these methods can be done using different speeds, and you could try all of them at different times while fishing. Remember this simple statement when it comes to jigging. When you want to catch faster fish, then use the knife jigs, if you, however, want to catch generally slower fish then use the butterfly or slider fish. Tuna, Amberjack, Salmon and yellowtail kingfish are examples of speedsters and will always go for fast fish you, therefore, need fast bait to get their attention. When in deep waters, you need bait that is heavy in order to reach the bottom. You will, therefore, need a jig with a lot more weight than the one used in shallow waters. Don’t always go for a heavy jig unless your positive the lighter jig won’t reach the bottom. When the boat’s drift is fast you will definitely want to have a heavier jig. This will ensure it reaches the bottom and does not just float just beneath the surface of the water. Understand that some jigs come with hooks while some don’t and you have to purchase them separately. Assist hooks are used on jigs and when you purchase it, it is usually tied to a Kevlar cord. The cord is then connected on the other side with a solid ring. These assist hooks can either be bought as a single hook or as twin hooks tied to one ring. Connect the jig as easily as you would connect live bait and simply start fishing. This was an overview of everything about jigging; you should take your time and practice patience in order to become an expert in jigging. You will spend a lot of hours learning, but I guarantee you it is worth every moment and money you spend. There is no other fishing experience that even compares to jigging.